Nilsson Suspended Sediment Sampler back in Production • Lindorm, Inc. The depth-integrating sediment sampler developed in Uppsala by Dr. Bengt Nilsson in 1969 went out of production when instrument maker Sören Carlsson passed away in January this year. Since we had an order we started a rescue operation, and went to Sweden to recover the molds and tools. We have now started production in Miami, Florida, and we again accept orders. 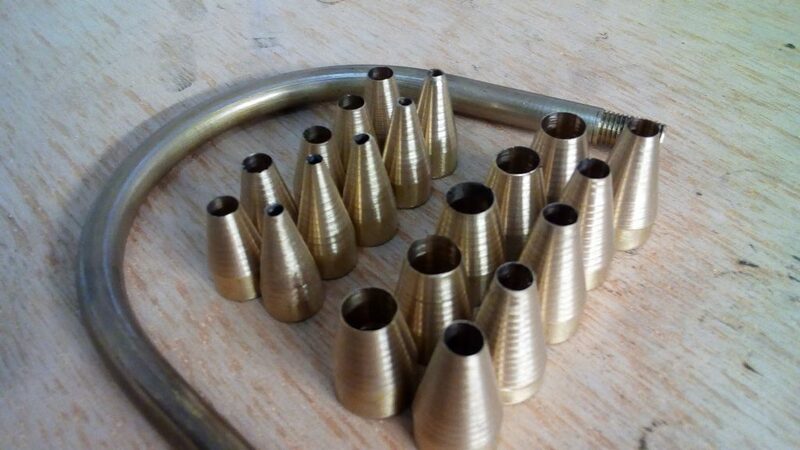 The photo shows the new nozzles made for an order from Bhutan, the “Dragon Kingdom” high in the Himalayas between India and China. The sampler, variously known as the Swedish Sampler, the Uppsala Sampler, and the Nilsson Sampler, was developed during the International Hydrological Decade and was adopted by many countries as their standard. We can supply spare parts and replacement parts for these older samplers, as well as completely new samplers.